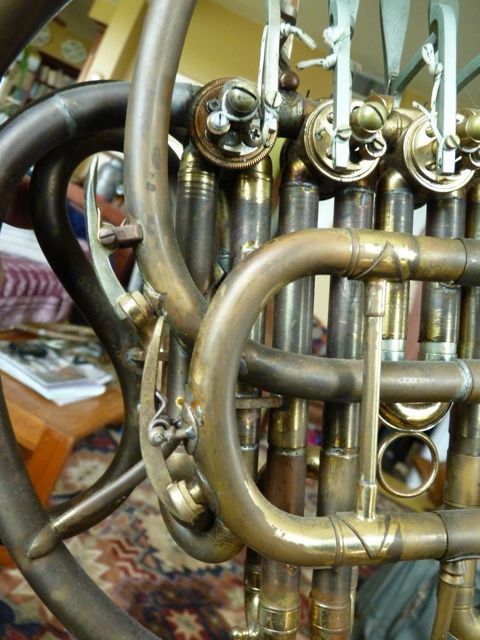 Several years ago, through an auction, I purchased two horns that had been made by an unknown horn builder from western Michigan. 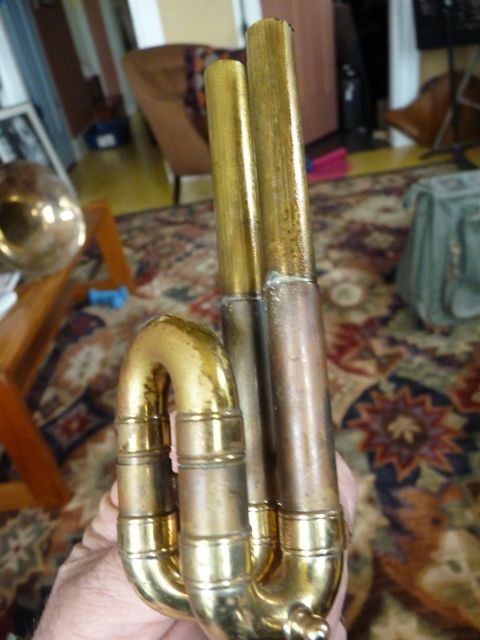 One was a valvectomy F horn with a vintage Reynolds “chambers” model bell and the other was a 5Valve Bb horn. 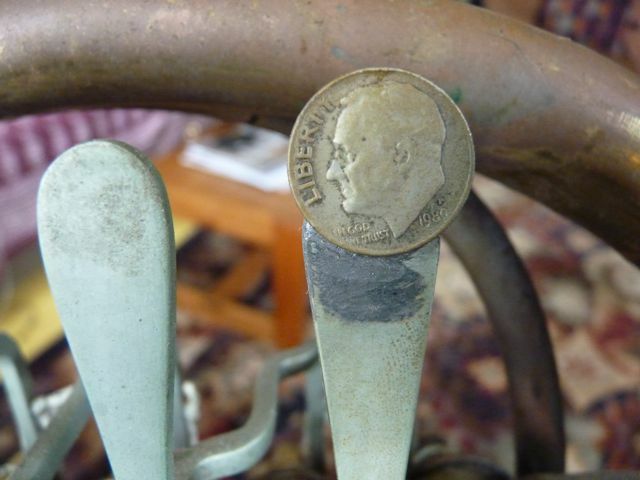 The horn was made after 1980, because that is the date on the Roosevelt dime on the pinky (5th) valve spatula. The main corpus, I think was an Conn Elkhart F single. 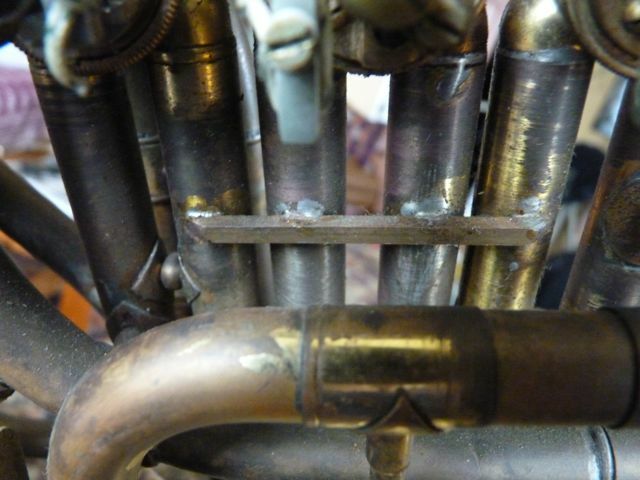 The middle set of three valves seem to be from the same horn and the serial number is in the L series range. 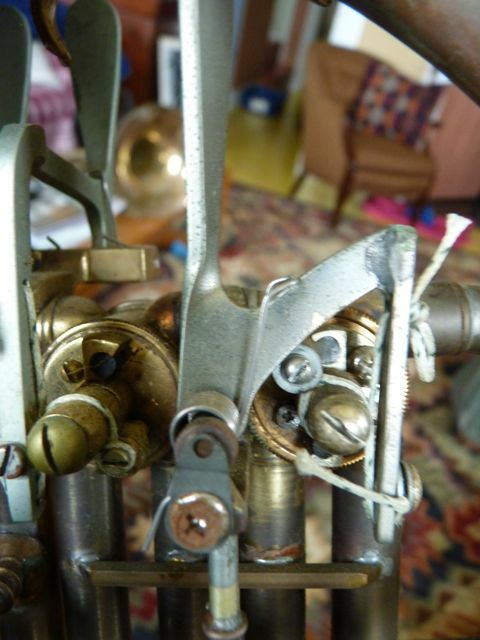 The outer (either side) valves are from another horn.and have the stop plates on the opposite side of the Conn valves. 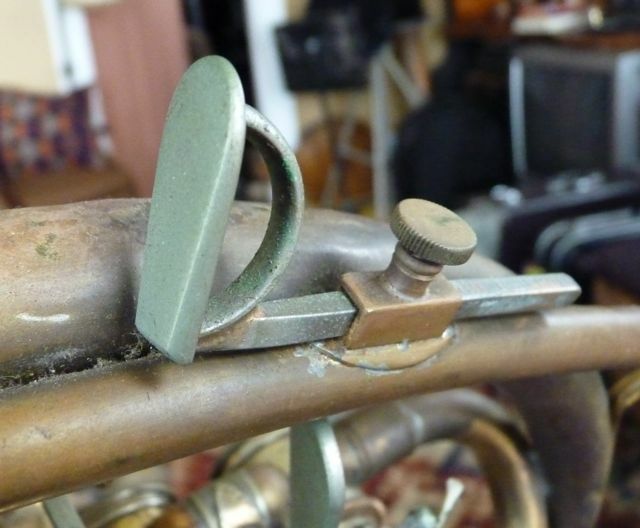 The horn has many endearing creative tweaks. 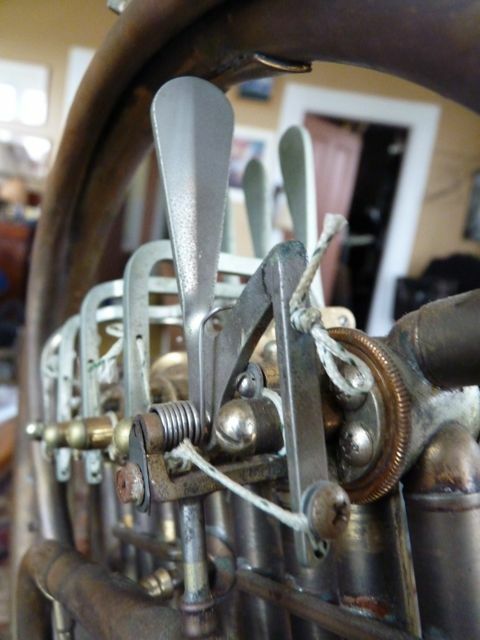 One of my favorites is the change valve linkage which is fashioned out of a regular spatula. It has a long throw, but gets the job done. 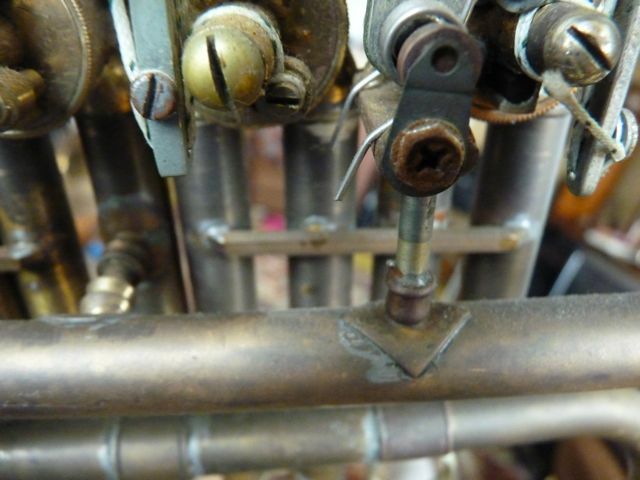 Other interesting points of interest on the corpus are the reinforcing bars that are soldered along the tuning slide sleeves. 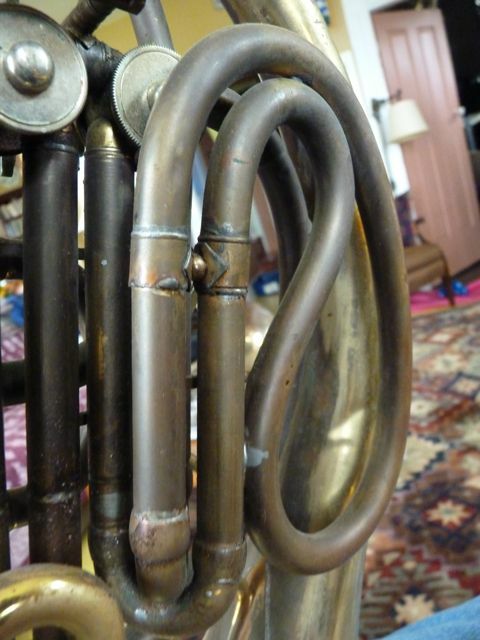 The crooks are mostly home-made, but to the correct length to play in tune. Some are made of multiple crooks that when added together make up to the proper length for this horn. 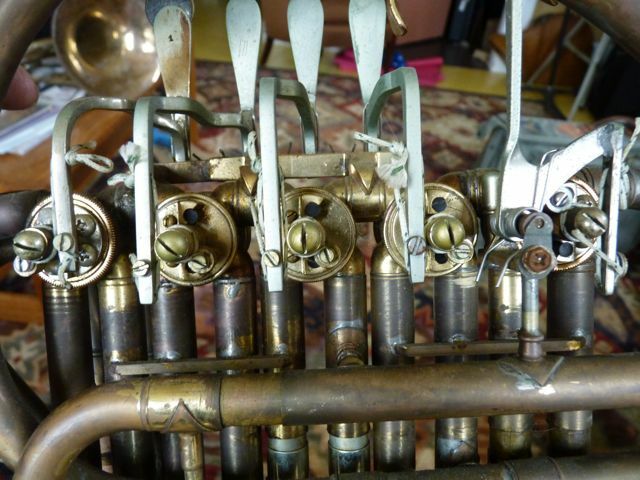 The builder was aware and took into account water keys, placing two on the horn, one on the leadpipe and one on the main tuning slide. But my favorite assembly, on the horn, is the non flipping hand stop. 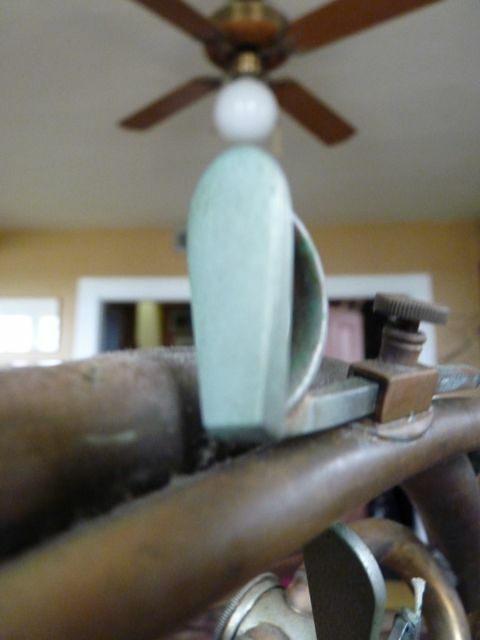 It is made of Lyre square stock a spatula and 1/2 half of a pull ring. 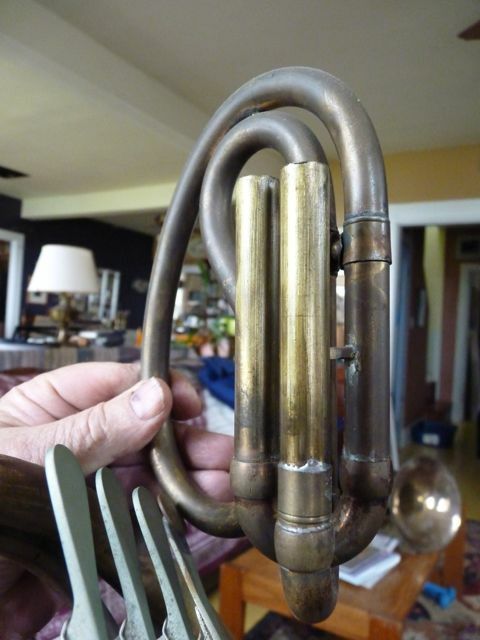 What a hoot, and it works well, with good adjustment, and can be moved to put the horn in the case. The horn is a classic, if there is a will there is a way horn. 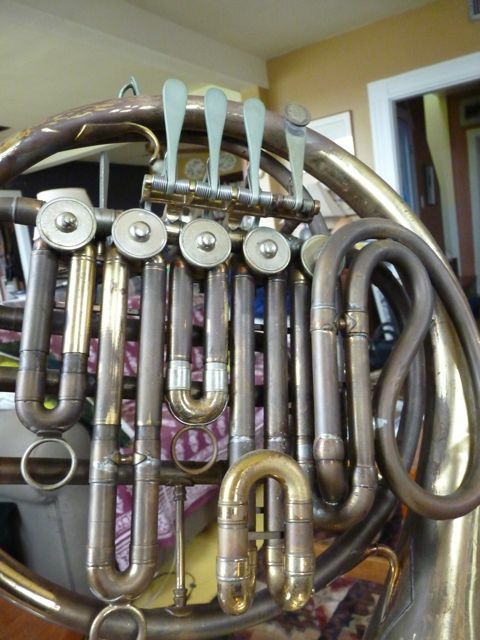 It plays pretty well, will not be copied by the custom horn builders and is a testimonial to its maker. RIP.